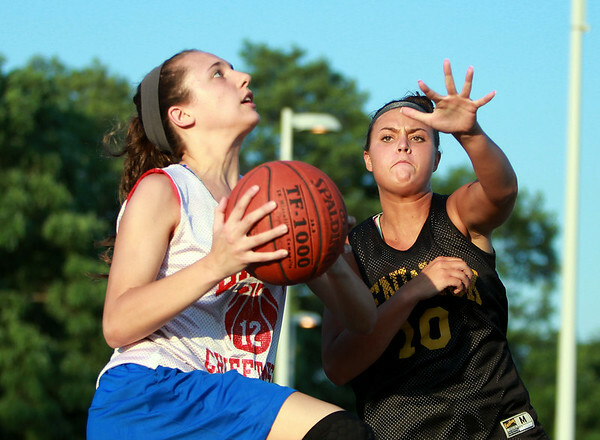 Masco's Amy Fogarty drives to the hoop while being defended by Bishop Fenwick's Lexi Rose on Monday evening. DAVID LE/Staff photo. 6/30/14.